Ford India has launched the 2019 Endeavour facelift in India with prices starting at Rs 28.19 lakh for the base model and going up till Rs 32.97 lakh for the top-spec variant. Available in three variants: the 2.2 4x2 Titanium MT, the 2.2 4x2 Titanium Plus AT and the top-of-the-line 3.2 4x4 Titanium Plus AT, the Endeavour gets back a manual option with this update, which was retired way back in June 2017. The new Endeavour is powered by the same 2.2-litre, 4-cylinder, turbocharged diesel engine and the 3.2-litre, 5-cylinder, turbocharged unit as the outgoing model. The 2.2-litre engine generates 160PS of power and 385Nm of torque while the bigger motor develops 200PS of power and 470Nm of torque. It is only the 2.2-litre Titanium variant which gets a 6-speed manual transmission, while the other two variants come paired to a 6-speed automatic transmission, just like the outgoing model. 4WD with torque-on-demand and drive modes for various kinds of terrain are available only on the top-spec 3.2-litre variant. With the new facelift, Ford has slashed prices of the Endeavour to make it an even better value proposition in its segment. It competes against the Mahindra Alturas G4, Toyota Fortuner, Skoda Kodiaq and the Isuzu MU-X in India. The prices of Endeavour diesel variants start at Rs. 28.20 lakh and the top-end diesel is priced at Rs. 32.98 lakh. 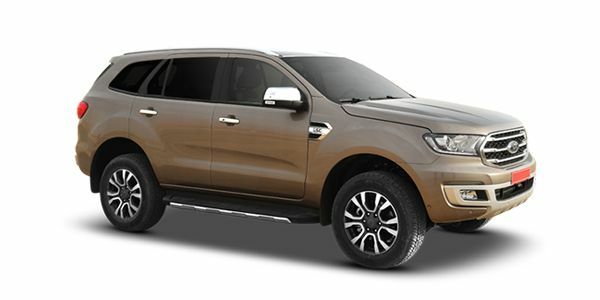 Ford Endeavour is available in 3 variants and 5 colours. The claimed ARAI mileage for the Ford Endeavour diesel is 12 kmpl. Q. For Engine reconditioning of Endeavour what is the cost? Seriously endeavour repair costs is too high .I have endeavour top model & endeavour is beat to fortuner . Jab brand buy krna toh repair cost nai dekhtehhh . Q. What is the maintenance cost of Endeavour 10 years old? Ford has launched the much-awaited 2019 Endeavour facelift in India. While it does get minor cosmetic changes here and there, the Endeavour doesn’t get the new 2.0-litre twin turbo engine found on its Australian counterpart, the Everest. We pitch them head to head in our comparo.